For the love of life: Announcement: Cheery Lynn Designs! Happy Monday to you all! Hope you all had a lovely weekend! We are having beautiful days in my neck of the wood, and I am so grateful for that. I am here today with an exciting announcement! The past year or so I've cut down on design team commitments, but I've always been fond of dies and specifically the Cheery Lynn Designs dies. So this time around I decided to try out for their design team and to my joy I have been invited to join this amazing team! I couldn't be any happier at the moment as I am typing this post...I am really grateful for this opportunity! 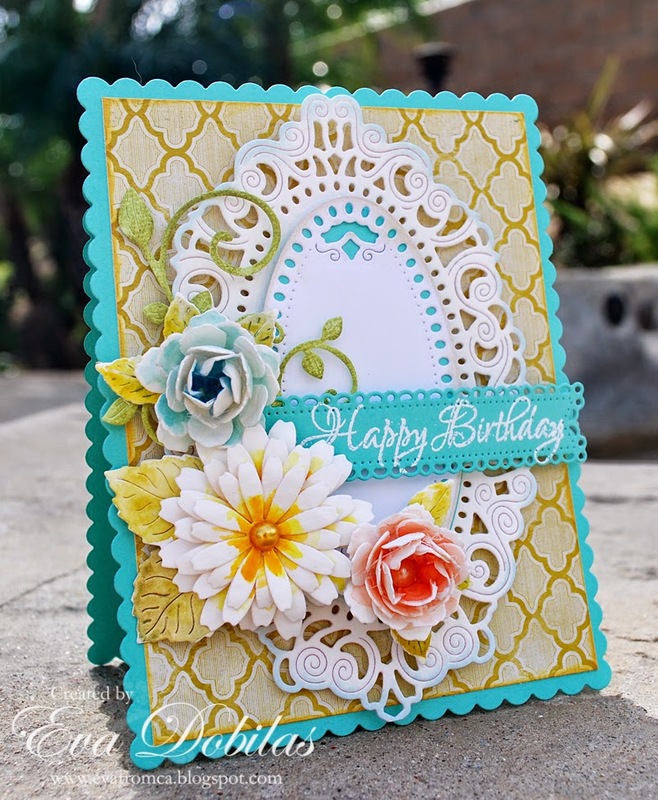 Anyway, to celebrate the occasion, I have a celebration card, which is this week's Cheery Lynn Designs challenge theme and if you are not playing along yet in the challenges, I urge to check them out and definitely play along. 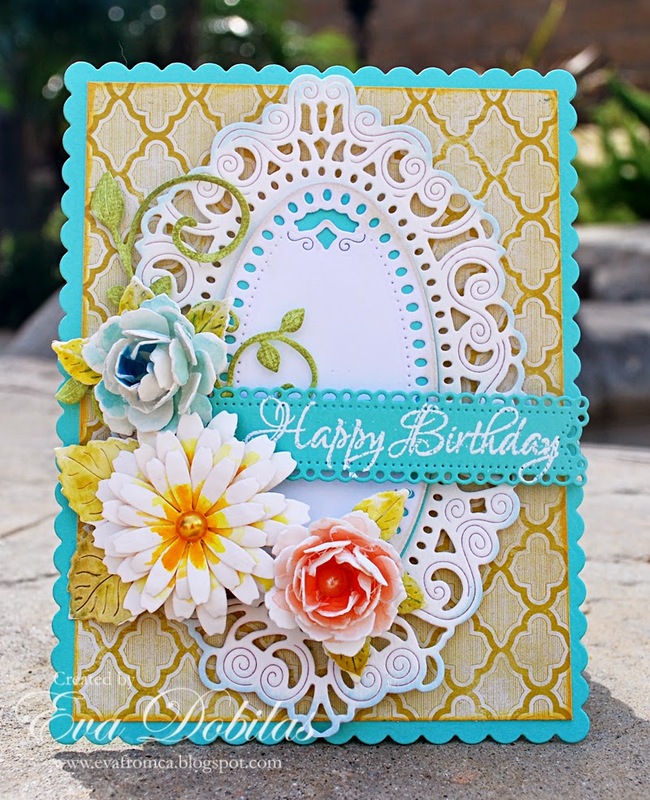 You could win a gift card to get some Cheery Lynn Designs dies. How fun is that!!! Anyway here is the card I made. To start out my card I die cut the card base using Card Maker Rectangle Scalloped - CM-2, which I layered with a rectangle shaped layer. I die cut a the gorgeous Mirror Mirror Doily Frame using white card stock and edged it with light blue ink. Then I die cut the middle part of the Mirror Mirror Doily Frame out of white card stock and the oval part out of the teal card stock, to show it off. 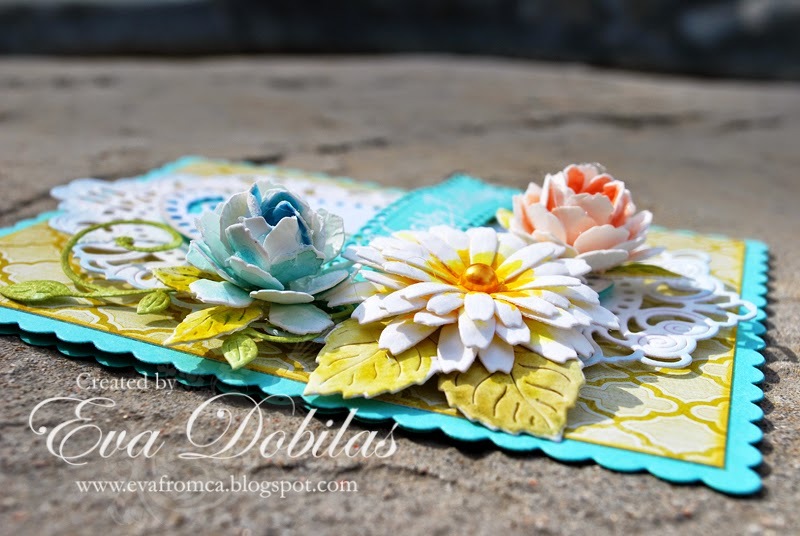 I popped those on top of the gorgeous large doily die cut. Next I started making my flowers and I used these flower dies for them. I die cut all my flowers and leaves out of water color paper and painted them with water colors to get the look I wanted. Once my flowers dried I glued them together using a glue gun and added them to my beautiful doily frame. I also added the pretty flourish to it which I die cut out of green card stock. As a final touch I added my sentiment, which is a JustRite Papercrafts stamp called Graceful Sentiments and I embossed it onto Horizon Fishtail Banners die. Here is another look of the card and you can see how beautiful these flowers are. Well, thank you so much for stopping by and make sure you stop by the Cheery Lynn Designs' blog to see the other talented ladies who were added to the team.